Sodium nitrate is added to foods, such as bacon, luncheon meats and jerky, to help preserve them and prolong their shelf life. There are some health dangers associated with consuming a large amount of sodium nitrate, which makes it necessary to limit your exposure. MayoClinic.com recommends replacing meats that contain sodium nitrate with lean chicken, turkey and beef to reduce your consumption and help protect your health. Making foods that contain sodium nitrate part of your everyday diet raises your risk of developing heart disease. MayoClinic.com reports that the salt in sodium nitrate can increase your risk of heart disease on its own, but the nitrate may actually cause damage to your heart. Sodium nitrate can damage the blood vessels around your heart, which can cause them to harden and narrow, which makes it more likely that you will develop heart disease. 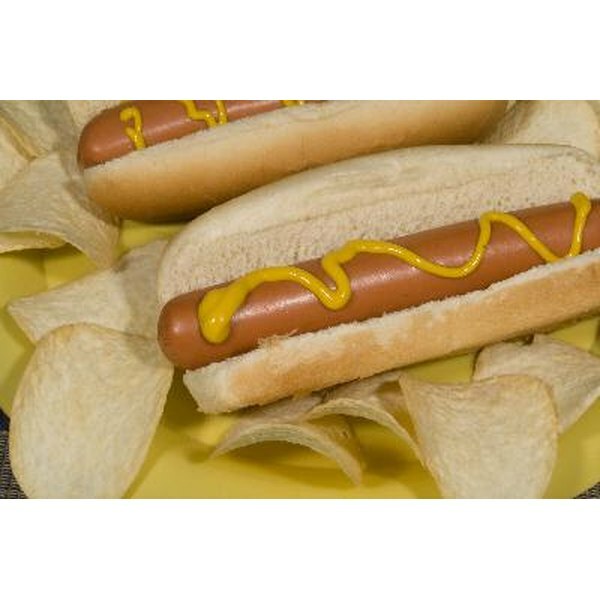 According to the Harvard School of Public Health, eating processed meats containing sodium nitrate on a regular basis puts you at a 19 percent increased risk for developing Type 2 diabetes. The nitrates in sodium nitrate may reduce glucose tolerance, which increases your likelihood of getting diabetes. Type 2 diabetes is characterized by symptoms like increased thirst, increased hunger, weight loss, fatigue and blurred vision. If left untreated, Type 2 diabetes can be life-threatening. Limiting your intake of deli meats, hog dogs and bacon will reduce your risk. A diet that includes a large amount of sodium nitrate can increase your chances of developing certain types of cancer. According to Hajime Ohigashi, author "Food Factors," eating a lot of sodium nitrate puts you at a increased risk of stomach cancer. Ohigashi notes that the reaction your stomach has when the acid it contains is combined with sodium nitrate can increase your risk of cancer. Decreasing your intake of sodium nitrate while also boosting your intake of fruits and vegetables can reduce your risk of stomach cancer, as well as other types of cancer linked to sodium nitrate, such as pancreatic cancer. If your diet contains too much sodium nitrate, you may experience many negative symptoms, such as headache and dizziness. Ingesting sodium nitrate also increases your risk of experiencing convulsions and mental disorders. Large amounts of sodium nitrate can also cause bloody diarrhea, gastroenteritis and pain in your abdominal area. Chronic exposure can lead to rapid heartbeat, irregular breathing and even coma.